On Friday 22nd March the whole school took part in a Shakespeare experience. Each class had a 40 minute workshop based around the Shakespeare play of 'A Midsummer Night's Dream' where they learnt the story and then performed a small part of a scene. At the end of the day the whole school came together and put their parts together to tell the whole story. Every child was involved and they had a great time doing drama. On 18th March Y5 set off for their three day residential at Condover Hall in Shrewsbury. They enjoyed some great outdoor activities which included climbing, abseiling, zip wire and even had fun at night with a campfire and run around quiz. They did lots of teambuilding games and had a great time. On Friday 1st March we held our annual Governor Buddy Day in school. Governors came into the school for the morning, starting with attending celebration assembly and finishing up by having lunch in the hall with the children. In between they were interviewed by the school ambassadors, had a tour of the school and got to spend some time in their link classes. On Thursday 14th February there was a lot of excitement in year 5 as they held a Mexican day as part of their topic for this term. The children had great fun taking part in a range of Mexican activities including doing Mexican art, and making Mexican food. On Tuesday 5th February , as part of their topic on China, Year 3 celebrated Chinese New Year with a Chinese Day. They dressed in red and did activities all to do with Chinese New Year. They ended the day with a party in Reception who were also celebrating Chinese New Year as part of their focus for the week. After February half term the children returned to school to find that their classrooms had been transformed into a scene from a classic book. The children then spent the next few weeks being inspired by the classic texts to write their own. Across the school we looked at Jack and the Beanstalk, Hansel and Gretel, The Gingerbread Man, The Sword in the Stone, The Jungle Book, The Hobbit and The Hounds of the Baskerville. This year we thought about how we could give during Advent rather than just receive. In assembly, we talked about how the Christmas story is still alive today and not just something that happened 200 years ago. Each phase were asked to bring in different donations for the Erdington foodbank - toiletries, food, treats for Christmas. Your contributions were greatly appreciated and the children have certainly given the gift of hope and joy to many families this Christmas time and you should feel very proud of them. The week beginning the 3rd December we held our Christmas parent workshops and what a great success they were. Year groups got together and invited families in to work with their children to make and sell Christmas fayre. Many thanks to all of those families that supported this event and help us to raise money for School Fund. On Friday 9th November, Year 2 visited the Locksmith's house in Willenhall as part of their topic. They learned how to assemble locks, had a look around the old Victorian house and even got to do some Victorian chores. Everyone had a super time and represented the school really well. The week beginning 22nd October we had a multi-faith week in school. Each class studied a different faith and based their work around it for the week. Children looked at places of worship, holy texts, customs and traditions and celebrations. Year 1 visited St Margaret's Church, Year 2 a Sikh Temple, Year 3 a Hindu Temple, Y4 a Buddhist Temple, Year 5 a Synagogue and 6 visited the Islamic Experience Exhibition. On Tuesday 17th October a group of Y5/6 took part in the KSSP Hockey competition at Erdington Academy. This was the first time that the children had competed in a hockey tournament and they had great fun. They had a great team ethic and showed great sportsmanship. Well done to everyone who took part. On Monday 8th October Y1 visited the new Lego Discovery Centre in Birmingham as part of their topic about Toys. They really enjoyed themselves going around looking at the Lego village, building with the lego and going on some lego rides...they even got very wet in the 4D cinema! On Wednesday 3rd October Year 3 visited Coventry Transport Museum as part of their topic about transport. They had a fantastic day looking at modes of transport through the ages and even got to design their own transport. The children really enjoyed their visit and learnt lots. Everyone at Court Farm would like to say a massive thank you to TK Max Ecom Team for their generous toy donation! Our 2 year old nursery setting is launching on Monday 24th September 2018 and with the help and generosity of our friends over in TK Max Ecom Team we now have some amazing toys to help the children's learning and development. On Monday 9th July all of our musicians from across the school took part in our end of term music assembly. Our Y4 class have been learning to play the dhol and djembe drums this year and certainly gave us a great performance that showed off just how much progress they have made this year. Our Y5 elective drummers then played us three pieces which they have been working hard on and we could really see a difference in their performance having had another year of tuition. We were also treated to two pieces from our keyboard players in Y6 who performed brilliantly on their own. Finally our choir delivered two fantastic songs which were lead by Ka'nah and Kisanet from Year 6 and we were all impressed with the talent on show. We have attended two Simply Gifted and Talented workshops this term. On 23 May Y5 attended a workshop that enabled them to exercise their investigation skills around The “Unsinkable” Titanic. On 20th June a group of children from Y3 explored 'The Curator's Dilemma' as the focus for their work. All classes in the school have been writing and performing poetry in Literacy for the last two weeks. 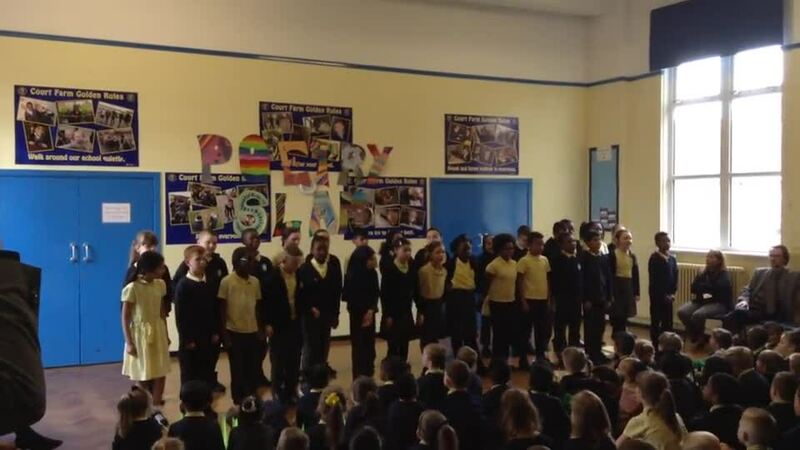 On Thursday 26th April we held a 'Poetry Slam' where each class performed a poem in front of the rest of the school and some individuals from each class shared their own poems with everybody. We were all amazed at the performances of the classes and the quality of the individual poems. Well done to everyone. Year 1 - Mayamiko sang For your glory and Salamaiyah showed off her skills of speaking Japanese. Year 3 - Korey, Charlie, Daisy & Leela sang Seven years and Chrysten'ah, Andre, Maddison & Jessica danced to Havana. Year 4 - Emily & Joyce sang A million dreams and Sittana & Kiri sang The cure. 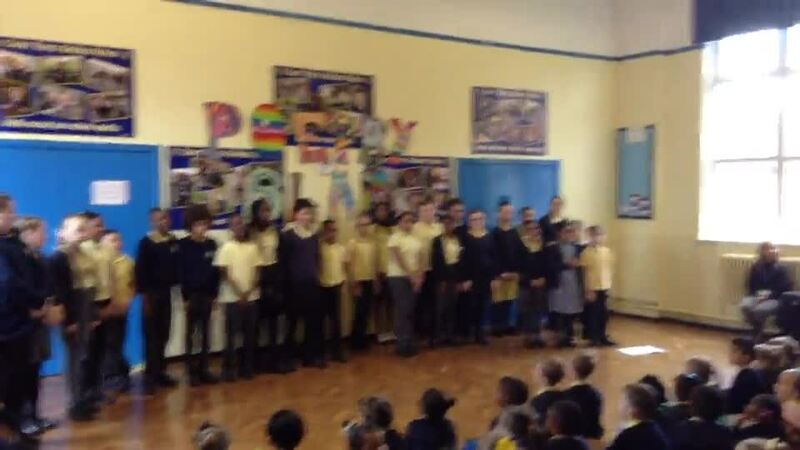 Year 5 - Scarlett sang Your reality and Rio, Tiana & Munirat performed Barking. Year 6 - Kisanet sang How far I'll go and Anastasija, Kan'ah, Angemarie, Hannah, Meleisha & Jathurmitha performed a comedy sketch. For the first time in Court Farm history we had joint winners whose talents were incredible. The children in Nursery and Reception were treated again this year to the Living Eggs project. On Monday 19th March some eggs were delivered in an incubator and the children got to watch them hatch and grow into little chicks over the following two weeks. They caused a lot of excitement and a lot of 'ahs' from everyone who saw them. On Friday 16th February there was more excitement in year 5 than usual as they held a Mexican day as part of their topic for this term. The children had great fun taking part in a range of Mexican activities including doing Mexican art, and making Mexican food. Continuing with our space theme, the whole school had the chance to visit a planetarium within school on Thursday 18th January. All of the children from Nursery to Year 6 had a unique experience within the planetarium which took over the school hall for the day. They visited space to look at stars, planets and space stations. When we came back to school after Christmas there was a strange sight awaiting everyone in the playground. What looked like a meteorite had landed in the playground and everyone was very excited. Staff scrapped all of their plans and spent two weeks doing work all around the theme of space. On Thursday 23rd November we hosted a gifted and talented workshop for local Erdington schools. The workshop was all about using logic and reasoning in mathematics and how to be more independent learners. On Thursday 16th November Year 6 visited the National Space Centre in Leceister as part of their topic on planets. They watched a film in the planetarium about being an astronaut and spent the rest of the day exploring the centre and finding out all about our solar system. The week beginning 13th November was Anti-Bullying Week and te theme this year was being unique. The children spent some of their lessons exploring this idea and learnt the anti-bullying song performed by Andy and the Oddsocks. The children then wore odd socks on Children in Need day. On Tuesday 17th October all of the children who had been 'Green' all half term had a fun session in the hall organised by Mrs Taylor. They played apple bobbing and had lots of activities based around Halloween. The week beginning 16th October we had a multi-faith week in school. Each class studied a different faith and based their work around it for the week. Children looked at places of worship, holy texts, customs and traditions and celebrations. Year 1 visited a Greek Orthodox Church, Year 2 a Sikh Temple, Year 3 a Hindu Temple and Year 6 visited the mosque in Aston. Between Monday 2nd October and Wednesday 4th October Year 6 visited Condover Hall in Shrewsbury on their residential trip. They had a fantastic time and were a real credit to the school; all of the instructors said how impressed they were with the children's behaviour and attitude towards all of the activities. The children enjoyed taking part in the following activities: zipwire, survival skills, multivines, climbing, lazer maze and grid of stones and lazer conquest. During the evening the children took part in a runaround quiz and a silent disco. On Friday 29th September Year 3 visited Birmingham International Airport as part of their topic on about travel. They got to see all aspects of airport life from checking in to security to seeing the planes. They all had an enjoyable day and Miss Evans was really pleased with their wonderful behaviour. On Thursday 28th September we held a MacMillan coffee morning in school. Many thanks to all of you that donated cakes and to the team that organised and ran the occasion. We had a great turn out in the school hall and then sold the remaining cakes at the end of the day in the playground. Thanks to your support we managed to raise £187.26. On Wednesday 6th September the children were treated to a most entertaining assembly run by the Standing Ovation Project. They performed a number of songs and got everyone involved. They will be running a choir after school on a Monday and will be performing at events throughout the year. This year we welcome two new members of staff to our scvhool community: Ms Barker who will be the Year 6 teacher and Miss Orton who will be the Year 5 teacher. You will have noticed during the last two summers trails of owls and benches throughout Birmingham and this year there will be sunbears all around the city. These events raise money for the Birmingham Children's Hospital. This year we have been busy painting our sunbear and on Wednesday 28th June the trail was launched. Mr Turner, Gypsy and Fabia went along to represent the school where the mayor officially opened the trail by cutting a ribbon in front of some of the bears at Millenium Point. Our bear, Mary Beary and the Great British Bear Off, is in the window of Sportology in Boldmere so make sure you go and have a look. On Wednesday 14th June Year 5 treated us to their class assembly based around their Science topic, 'Growing Up and Getting Old.' There were some great performances from the children, who told us the stories of their lives past, present and future through drama, song - and lots of humour. On Wednesday 24th May, all of the children who have been on Green all of this half term had their Good to be Green reward. Each class took it in turns to have balloon fun with Mrs Taylor. They played lots of games and the excitement could be heard throughout the school. Now everyone starts afresh for next term. Let's see if we can have even more children taking part next half term. On Friday 19th May Year 5 had the chance to visit Edgbaston Cricket Ground as part of their topic on sport. They had a fabulous day and the cricket coach said that they were one of the best groups of children he had ever coached. The children had cricket coaching in the morning and had a tour of the ground in the afternoon even accessing areas that only staff are normally allowed in to. They even bumped into the Pakistani cricket team preparing for the ICC Champions Trophy. On the 9th May Year 1 visited Aston Hall as part of their Literacy. They went to act out the story of Cinderella and had the chance to perform it throughout Aston hall. The children had a lovely time and enjoyed dressing up. During the run up to Easter, the children have been decorating cups for Easter. These cups are made and filled with Easter magic, chicks and chocolate and are available to buy from school. For the last two weeks of half term Years 1-6 have been planning, organising and setting up their own businesses. Years 1 & 2 have set up a cafe, Years 3 & 4 have set up their own chocolate store and Years 5 & 6 are running their own fitness programmes. On Tuesday 14th February Year 3 & 4 invited parents to taste their chocolate creations and give their opinions. There was a great turn out of parents ; thank you so much. Year 1 are currently studying Poles Apart as their topic and on Thursday 2nd February they visited the Snowdome so that they could experience what it would be like to be in a cold environment. They all had a fun time tobogganing, playing in the snow and even making snow angels! Each child has been given a reading challenge to complete whereby the more they read, they can earn Bronze, Silver, Gold and Platinum rewards. They get a mention in Friday's Celebration Assembly and on our weekly school newsletter aswel as receiving their reward! Please see your child's class teacher for more information on how your child can complete their challenge. On Monday 16th January some of our KS1 children went to Edmund Campion for a sports competition. Maddison, Daisy, Abdul, Mujtabah, Andre, Natalia, Jessica, Jack and Ayden ran their socks off and came 4th out of the 8 schools who took part. They have got through to the final of the local schools so keeping checking our website for the final result. On Tuesday 10th January years 5 and 6 took part in a local schools Basketball competition at Erdington Academy. Blessing, Abdulrazak, Muna, Lilly-Mae, Shamaiya, Jacob and Jack A all played brilliantly. Our team reached the final of the competition and finished in second place. 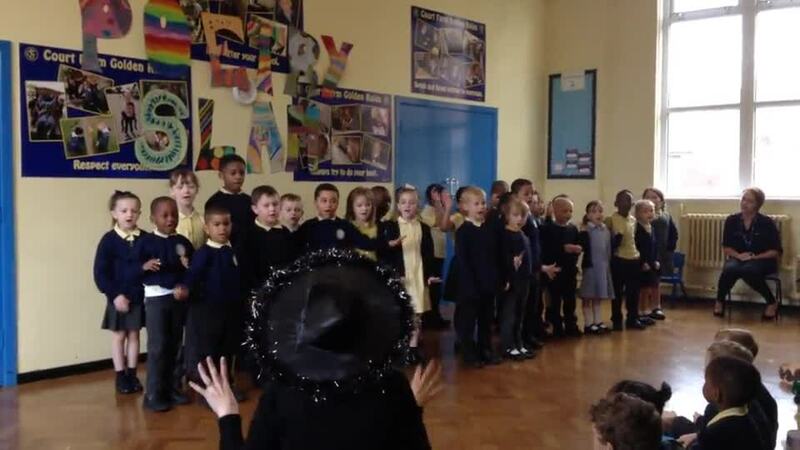 In November we had a competition to design a poppy hat for remembrance day. 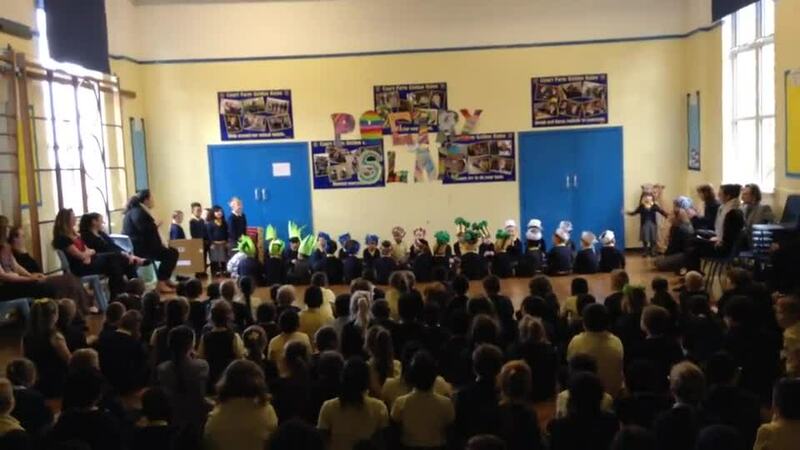 Many children took part and we had a parade in assembly to decide on the winner. On Tuesday 19th March, as part of their topic on Vikings, Y6 were treated to a Viking experience during which they constructed a Viking longship and an anglo-saxon house. They had to work together using only bamboo sticks and elastic bands to build them and managed to fit in both. that they could all fit in. They also learnt some fascinating facts about working on a longship. During the week beginning the 11th March we celebrated National Science Week. The children attended assemblies about Science and took part in a Science day. For this the staff all prepared one fun science activity each and the children were split into mixed age groups and took part in the various activities. 7th March - World Book Day.This year, we set a theme of Bedtime Stories. Pupils came into school in their pyjamas and a competition was set to decorate a potato into their favourite book character. The pupils had a fantastic time. We loved seeing how creative they got with their potatoes -there were some brilliant ones! Thank you to the parents for your cooperation in making this a fun day for the children. We hope they enjoyed the day! On Thursday 7th February, Year 1 were taken back in time to experience life as a student in the Victorian times. They were fantastic at getting into character and looked brilliant in their outfits. Mrs Evans organised a day where the class experienced the activities of a typical day in a Victorian School. It was lovely to see so many of you at our 3 Christmas productions in our last week of term. All of the children performed really well and it was a pleasure to watch them all. They all spoke clearly and sang beautifully. Well done to everyone. On the 10th December we were all treated to a great music assembly from our dohl and djembe drummers. Year 4 performed for the first time to the whole school and parents and the Year 5 and Year 6 elective groups also performed. The children have made great progress and it was a pleasure to listen to their performance. On the 3rd December Y5 visited the Think Tank to support their topic on space. On the 6th December Y6 also visited the Think Tank to support their topic 'Out of this World.' Both classes attended a workshop and then had the chance to visit the rest of the museum. On Wednesday 14th November, Year 4 finished off their topic with a visit to Tamworth Castle. They had a tour around the castle and took part in a dance workshop. The children had a great time and were a real credit to the school. On Tuesday 6th November Y5 and Y6 took part in a workshop to celebrate 100 years since the end of World War 1. They learnt about life in the war as a soldier and about local people who were involved in the war. The presenter said that the children were amazing. Well done, children for showing such respect on such an important issue. Year 4's topic this half term is 'Reign Over Us' and they have been busy learning all about Kings and Queens of England. They have acted out the Battle of Hastings in the hall and on Thursday 18th October they had a Kings and Queens afternoon.A ll the children and staff dressed up as kings and queens and had a royal time! On Wednesday 17th October Year 6 performed their class assembly, which they wrote themselves, about people who have inspired them. They delivered a lovely message about how parents can be a real inspiration and there were a few tears in the hall. Well done, Year 6. On Thursday 4th October, author Peter Bunzl visited school and did a writing workshop for Years 4-6. He talked about his Cogheart books, how he got his ideas and gave the children some tips on how to be good writers. He then sold some of his books and the children got signed copies. Once again this year the appointment of our Head Boy and Head Girl took place. Year 6 had to apply for the position and then the Year 6 team judged which boys and girls submitted the best applications. Quayuum and Rio were chosen for the boys and Meron and Scarlett were chosen for the girls. All of the candidates had to speak to the whole school in assembly and they all did a fantastic job telling the children why they were the best candidate. All of the children and staff then voted and Quayuum and Meron were elected. Well done to evryone. On Friday 29th June a group of 28 children from KS2 were taken to Symphony Hall to listen to the school's concert performed by CBSO. They all had a great time and thoroughly enjoyed the experience of listening to a professional orchestra playing in a fabulous setting. 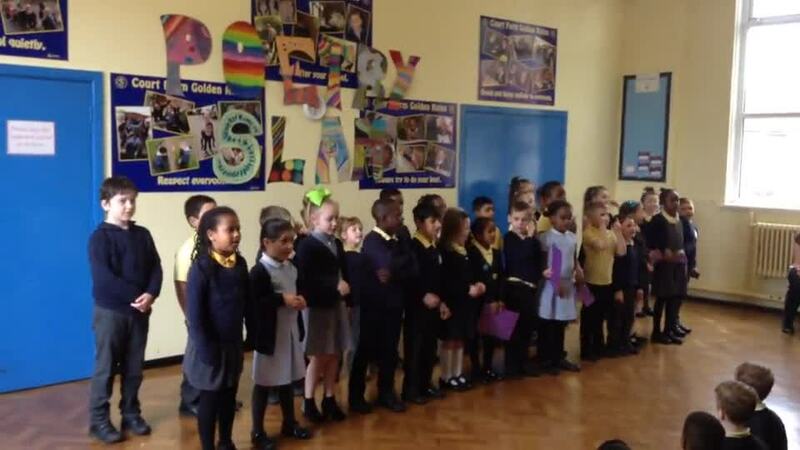 On Wednesday 27th June Y1 performed their class assembly to a huge audience. Their assembly theme was about how we are all special in our own way and their play centered around nature put the message across really well. well done to everyone in Y1! On Friday 11th May we held our spelling bee finals in front of the school. Congratulations to all of our finalists who had worked so hard to learn their spellings. Every year group final was very close and, in fact, we had to take spellings from the year above to find a winner in most of the finals. A big well done to our champions: Mayamiko, Teodora, Noor, Ashmitha, Zakera and Tasnim. On Wednesday 18th April, James Bishop, author of Iguana Boy, visited school today and spoke to all of the KS2 children about being a writer and what inspired his book. He won a competition on Lorraine and his book is published tomorrow so we got a sneak preview. All of the children took part in designing a superhero for another book and we even named him and gave him super powers. This will be entered into a competition with other schools that James visits and the winning character will be featured in his third book in the series. Congratulations to all of our children who have been green all of this half term and who enjoyed an Easter egg hunt in the Reception outdoor area on 26th March. On 21st March Years 2-5 visited the Prayer Space at St Martin's Church which was organised by Urban Devotion. The children had a great time to reflect on their own lives and every class was commended on their fantastic behaviour. We celebrated World Book Day on the 1st March with children and staff dressing up as book characters. The classes then moved around the school during the day visiting different teachers who had book related activities planned for the day. On Wednesday 7th February Year 4 treated us all to a fabulous class assembly based on our school motto of Dream, Believe, Achieve. They looked at people in history who had had a dream and achieved it and then looked at what their dreams for the future are. They really impressed us with their singing of This is me from the Greatest Showman. The week beginning 11th December Year 5 spent three days in the Outward Bound Centre in Aberdovey taking part in some great outdoor activities. The children had a fantastic time walking in the mountains, doing activities on the beach, cave exploring and even canoeing in the sea. The children were a credit to the school and were all very resilient when facing all of the activities. As part of their topic Poles Apart Year 1 visited the Snowdome on Friday 24th November. They played in the snow and had great fun tubing and sledging. On Wednesday 22nd November Year 5's class assembly explained to us all what a hero was and how we all can be heroes if we are in the right place, at the right time and doing a good deed. Thank you to all of the parents who attended the assembly. On Wednesday 15th November Year 4 visited Selly Manor as part of their topic about the Tudors. They learnt about life during Tudor times and even saw a priests hiding hole. The children had an enjoyable and educational day. Once again this year the appointment of our Hard Boy and Head Girl took place. Year 6 had to apply for the position and then the Year 6 team judged which 3 boys and 3 girls submitted the best applications. Braeden, Mir and Wajud were chosen for the boys and Anastasija, Angemarie and Ka'nah were chosen for the girls. All of the candidates had to speak to the whole school in assembly and they all did a fantastic job telling the children why they were the best candidate. All of the children and staff then voted and Braeden and Anastaija were elected. Well done to evryone. As part of their topic about rivers, Year 5 visited the Sea Life Centre on Thursday 19th October. They followed the journey of the River Severn from the hills of Wales to the sea. On Wednesday 18th October Year 6 performed their class assembly to the school and their families. They entertained us with their memories of Condover Hall and performed some of the many songs that they learnt there. On Friday 13th October Year 1 had a toy workshop in school to support their topic about toys. The children were toy detectives and had to repair broken toys. They investigated the materials that were used for making toys and then had to make one of their own. On Friday 6th October 15 Year 6 children visited Royal Haskoning DHV in Birmingham as part of our membership of Enabling Enterprise. They got to visit their offices and have a look around at the people at work there. The childeren then had to do a project and present it to the employees in the afternoon. The children had a great day and all of the staff were very proud of them..
On Friday 29th September Year 2 visited the Locksmith's house in Willenhall as part of their topic on Victorians. They learned how to assemble locks, had a look around the old Victorian house and even got to do some Victorian chores. Everyone had a super time and represented the school really well. Click here to find out more. We had our spelling bee finals on Friday 29th September for Years 1 - 6 and what an exciting competition it was! This year in the final the children were not allowed to write down any of the words, they had to spell them out loud and we were amazed at how well the children did. It most year groups we had to have a 'bee-off' of extra words because the children had learnt all of their words and got them right. All of the runners-up received a £10 token and the winners a £20 for WH Smiths and a spelling bee winner's cap. We hope you all had fun in the summer hunting for all of the bears that were on display around the city. 'Mary Beary' has returned and can be seen in the entrance to the main office. 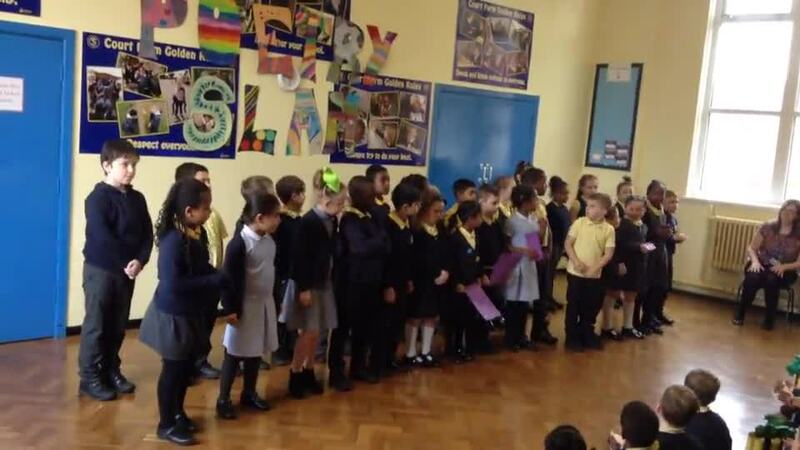 On Wednesday 28th June Year 1 performed their class assembly in front of a packed hall. They shared the work they had done on flight with us and we all learnt so much. We learnt about the Wright brothers, listened to diary extracts about a trip in a hot air balloon and they entertained us with their own version of the wheels on the bus about aeroplanes. On Monday 19th June Reception visited Tesco as part of their topic on bakeries. Whilst they were there they got to try diffrent types of cheese, hunted for different coloured fruit and veg, identified fish and spent a long time in the bakery seeing how bread is made. Everyone had a super time and learnt a lot. Well done to Grace Leigh in year 6 who has become our first 'Purple Mash Digital Leader'. Grace has worked extremely hard towards this award both in and out of school and her time and effort has definitely paid off. We are delighted to announce that our year 3 teacher, Miss Evans, this week became a fully qualified teacher. Miss Evans passed her teaching course with flying colours. We are very lucky that Miss Evans will be continuing as a teacher at Court Farm over the coming years. On Wednesday 24th May Year 3 entertained us with a most interesting assembly all about the life of Tutankhamun. The school was even tested at the end of the assembly in a quiz to see who had been listening! We now all know that he was only 9 when he became a pharoah and died of a broken leg when he was just 18. On Friday 12th May Year 4 visited Warwick Castle as part of their toipc on crime and punishment through the ages. They enjoyed exploring the castle, watching a bowman show, seeing the trebuchet at work and taking part in a crime and punishment workshop. During the week beginning 2nd May our local PCSOs came into school and visited all of the classrooms to deliver a number of workshops. EYFS and KS1 were taught about stranger danger and road safety and KS2 had workshops about intrenet safety. Everyone learnt a lot and we were grateful to our PCSOs for giving up their time to visit us. On 30th March Year 1 came to school dressed as Victorians and were treated to a Victorian style day by Mrs Evans and Mrs Azim. They sat in rows, had hand inspections and learnt all about Victorian schools. 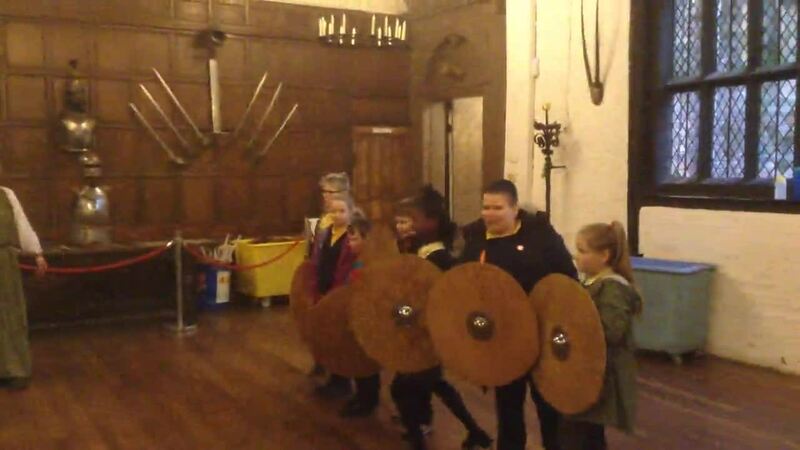 On Thursday 2nd February Year 5 visited Tamworth Castle to support their topic on Invaders. They had a tour around the castle in the morning and in the afternoon they had two workshops. One looked at Saxon armoury and weaponry and the other was an archaeological workshop where the children learnt about how to dig for historical artefacts. The children had a great time and were a real credit to the school. Congratulations to our basketball team who took part in the area finals and came away with bronze medals! They played six matches and were only defeated in one - a great achievement and we are all super proud of them. On Tuesday 17th January our year 5 and 6 swimmers took part in a Swimming Gala between local schools at Erdington swimming baths. Ella, Tegan, Munirat, Anastasija, Lacey, Jack S, Abdulrazak and Jacob all swam brilliantly. A massive congratulations to Ella Smith who won a bronze medal. On Tuesday 11th October our candidates for Head Boy and Head Girl, Daniel, Joshua, Callum, Titilayo, Muna and Courtney, made their speeches to the whole school before the voting began. The children had prepared really well and it took real confidence to stand before everyone and put forward their case. All of the children did really well and at the end of the day it was announced that Callum and Courtney had been elected. On Monday 10th October George Fouche visited us and gave an inspirational assembly to the whole school and then did workshops with year 5 & 6. He told us his life story, with all its ups and downs, giving the message - dare to aspire. He explained to the children that anything is possible if you work hard. He grew up in a council house in South Africa where the children went to school barefooted! George became a very successful premiership and international rugby player and all this despite breaking his neck and being told that he would never walk again. He now coaches internationally with South Africa, having just returned from the Olympic Games and visits many schools and settings giving his talks and workshops. Everyone was moved by his life story and Year 5 & 6 really enjoyed his workshops on how to be successful.